The Document Foundation finally announced the release of LibreOffice 5.0 and updated its PPA for Ubuntu 15.10, Ubuntu 15.04, Ubuntu 14.04, Ubuntu 12.04, and derivatives (e.g., Linux Mint 13/17, Elementary OS Freya/Luna). Below are the descriptions from its new features page. For more, see the release note. LibreOffice 5.0 ships an impressive number of new features for its spreadsheet module, Calc: complex formulae image cropping, new functions, more powerful conditional formatting, table addressing and much more. Calc’s blend of performance and features makes it an enterprise-ready, heavy duty spreadsheet application capable of handling all kinds of workload for an impressive range of use cases. New icons, major improvements to menus and sidebar: no other LibreOffice version has looked that good and helped you be creative and get things done the right way. In addition, style management is now more intuitive thanks to the visualization of styles right in the interface. LibreOffice 5 ships with numerous improvements to document import and export filters for MS Office, PDF, RTF, and more. You can now timestamp PDF documents generated with LibreOffice and enjoy enhanced document conversion fidelity all around. For all current Ubuntu releases and based systems, the best way is to upgrade LibreOffice 5.0 through the official PPA. 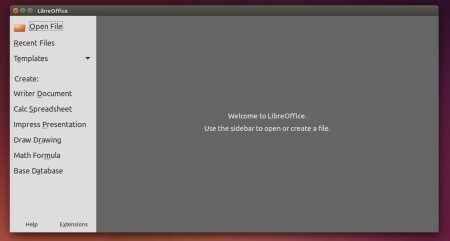 If you already have a version of Libre Office installed you should remove it first by opeining up a Terminal and entering at least the first command below but if you want to be thorough you can also purge the files completely by entering the second command. This won’t work, because packages are not (jet) in the system repos. To fix this You need a packages priority change. Thank you so much. Your answer are so useful and function so good. It work, thank you ! Thanks! It worked perfectly on my Mint 17. Now I will have a look to this version of LibreOffice. Thank you for that. It all upgraded perfectly and works well. The new version certainly looks more professional – let’s hope it will soon be completely compatible with M$ Office. Just followed you instructions and it worked thanks very much . Thank you so much Ji! It was very useful! keep going with your project. Congratulations! Thanks for this. 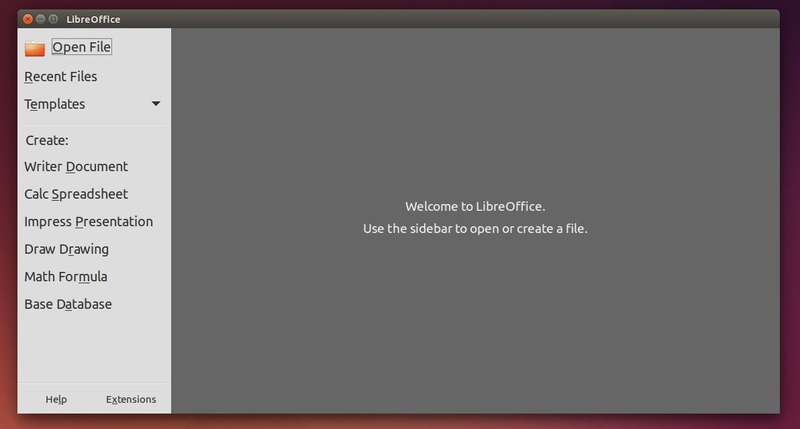 The libreoffice.pref did not exist on my Linux Mint 17.2 PC. I already had the first update installed manually. 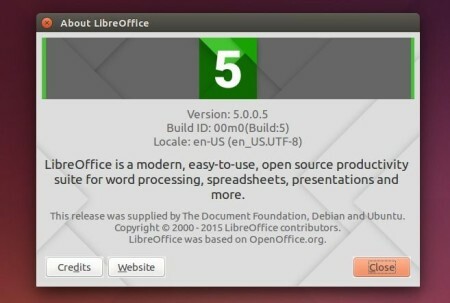 Creating the libreoffice.pref file allowed an update to 5.0.2. The previous version of LibreOffice was not removed. Perhaps you could suggest how to do this at the same time as the new ppa install. Worked great! 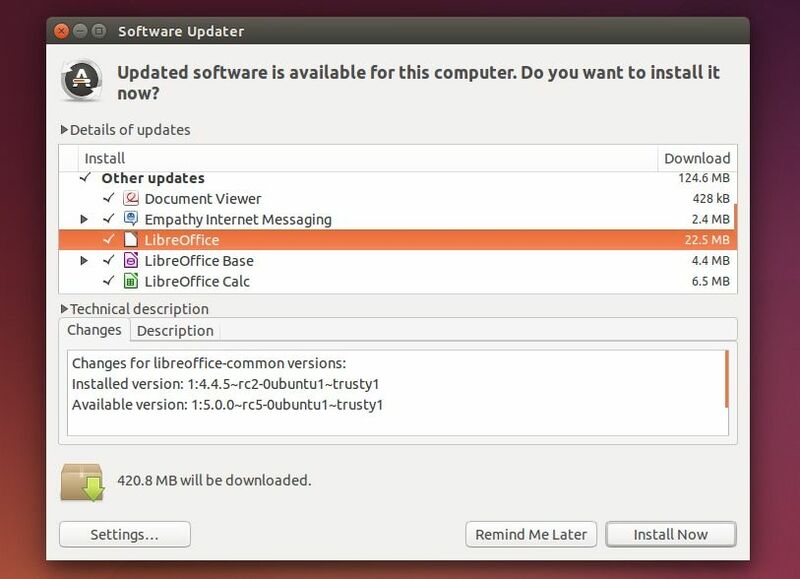 I had to uninstall the previous version through Lubuntu Software Center (I’m running Lubuntu 15.04) on mine. Thanks! This does not work for me. I’m using Linuxmint 17.2 Cinnamon. After making more search, I get this one (http://www.webupd8.org/2015/08/install-libreoffice-50-in-ubuntu-or.html). Hope that it’ll help someone else. To give positive feedback: worked perfectly for me! using ubuntu 15.10 and Gnome 3.x plus libreOffice 5.0.2.
libreoffice would cause a 30% and + CPU load permanently just after openening an .odt of more than say 50 pages. execute the two above given commands in a shell. updates to 5.0.3.2 and no more cpu load with the same .odt file. eMcE: Was looking for an upgrade solution this AM, found your post. Worked perfectly.